Here we go again: a jaguar that was brought out during an Olympic torch event earlier this week was shot and killed shortly afterwards when it escaped its handlers. The local Games organising committee is now investigating the incident, but animal welfare advocates say the big cat should never have been there in the first place. The 17-year-old jaguar, named Juma, made an appearance at an event on Monday to commemorate the passing of the Olympic torch in Manus, the largest city in the Brazilian Amazon. She was photographed in chains alongside assault rifle-wielding soldiers and a runner holding a torch. Following the event, Juma was taken to a zoo that’s part of a military base in the city. She apparently escaped an enclosure but was not at risk of leaving the confines of the zoo. Military officials said Juma was hit with four tranquiliser darts, but they didn’t slow her down. Once the cat turned on a veterinarian, a soldier was forced to take her down with bullets. What the hell was a jaguar doing at an Olympic torch event, you ask? 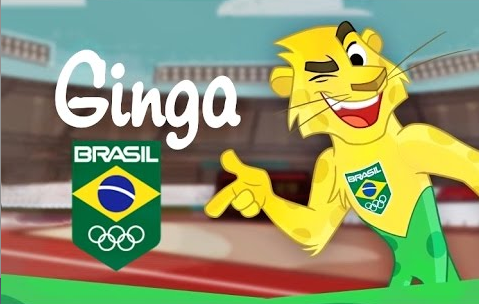 Well, a jaguar named Ginga happens to be the official mascot of the 2016 Olympic Games in Rio de Janeiro. The local Games organising committee obviously thought it would be cute to trot out an actual jaguar for a public event — an idea that has now led to the death of an animal that had been raised in captivity since it was cub. The Games organising committee said it was “saddened by the outcome”, and apologised for the incident saying it was a mistake “to allow the Olympic torch, symbol of peace and unity among peoples, to be displayed next to a chained wild animal”. An investigation is now underway. Animal rights groups have already lashed out at the committee, saying “captivity puts animal and human lives at risk”.